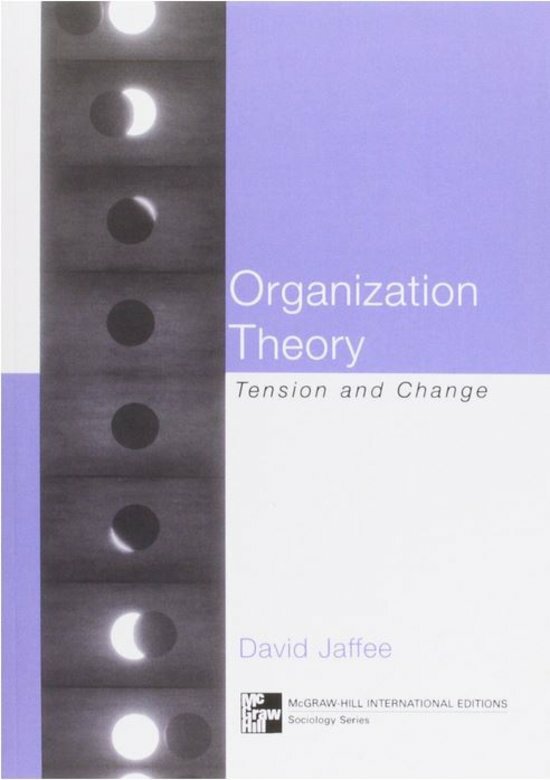 Summary Organization Theory - Tension and Change - David Jaffee Extensive summary of the book, chapter 6 (emerging organizational forms: beyond Fordism) and chapter 10 (interorganizational dynamics: markets, hierarchies, and networks) excluded. On this page you find summaries, notes, study guides and many more for the study book Organizational Theory, written by David Jaffee. The summaries are written by students themselves, which gives you the best possible insight into what is important to study about this book. Subjects like Organization Theory, Tweedejaar, Sociologie, SOBA111A, SOBA111, Organizational Theory: Tension and Change, Organisaties & Jaffee will be dealt with.